Have you ever wondered why you are here? Where you come from? What happens when you die? As we grapple with these Big Questions, we often look outside ourselves for the answers — in all sorts of books, through visits to psychics, or in the presence of a spiritual guru or advisor. Those sources of information may help you shed light on what you seek, but they also share the same provenance: they are outside of ourselves. Consider the implications if you were able to access answers to those Big Questions from your own soul mind, and hear your own truth, without anyone telling you or interpreting it for you. Imagine your own eternal knowledge coming to the fore, in your own words, without any need to meditate deeply, become a shaman or have a near-death experience. With Life Between Lives Regression hypnotherapy, also known as InterLife Regression, Dr. Michael Newton has developed a way to access your soul mind through hypnosis to obtain the answers to your deepest questions. With this method, a way to access the spirit world is opened. Now retired from his clinical work, Dr. Newton has overseen the training of a limited number of Hypnotherapists to carry on his pioneering work. Marilyn is a certified Life Between Lives Therapist and member of The Michael Newton Institute for Life Between Lives Hypnotherapy. 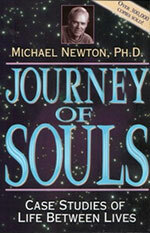 A Life Between Lives (LBL) Regression is a specific hypnotherapy technique described by Dr. Newton in his bestselling books Journey of Souls and Destiny of Souls. An LBL Regression focuses on your life between lives — on your existence as an immortal soul in the spirit world. How is Life Between Lives Regression different to Past Life Regression? Although one past life is explored at the beginning of the session, a Life Between Lives Regression goes beyond Past Life Regression. The past life is used as a springboard to the world of souls, thus enabling connection with your soul mind. You will then find yourself shedding the heavy burdens of ego and earthly stress in this supportive, loving and compassionate realm. You will initially be met by one or more souls who love and cherish you. They will work along with Marilyn, guiding you to several facets of the spirit world, depending upon your current needs and circumstances. You will have the opportunity to ask questions throughout your journey. What is the purpose of an LBL Regression? Once you are connected with your soul-mind you will have the opportunity to meet and communicate with your personal Spirit Guides, Soul Group Members and even your assigned Council of Elders who have been helping you structure your earthly incarnations for maximum growth. This will allow you to gain a better understanding of what your purpose is in your current life and whether your incarnation is going “according to plan.” You will understand why you chose your family and significant relationships, as well as the body that you now inhabit. Will I remember what happens in my LBL Regression? Most clients do recall all that occurred during their session and, in fact, are given a hypnotic suggestion to remember everything clearly. Your session will also be recorded so that you can fully relax and enjoy the experience as it unfolds, allowing you to review and analyze your past life and between lives journey later at your convenience. Will an LBL Regression help me solve problems and make changes in my present life? The human consciousness will naturally strive for health and healing. If permitted, your immortal self will lead the way to understanding and healing. Your own inner wisdom, along with guidance from your Teachers, Soul Group and Council are available to you during your journey. This combined wisdom and guidance will serve you in achieving lasting changes in your life. You will become aware of your purpose in this life. If you are already sure of your purpose, you may be surprised by your renewed commitment to it with understanding and excitement. A single LBL Regression normally promotes lasting positive changes in one’s life. During the session you will directly connect with your Spiritual Teachers, making it easier to access them later on your own. Should I read Dr. Newton's books before having my LBL Regression? While it is certainly not necessary to read Dr. Newton’s books before a session it may help you to understand what your session will entail. These books represent his work with over 7,000 LBL Regression clients, spanning over 30 years of intense pioneering research. Many possible aspects of the journey are noted and explained in some detail through case histories. Some clients prefer not to read the books beforehand so that the experience will be “pure” without expectations in mind. Whether you read them before or after your session, you will be amazed by the remarkable consistency of what is reported by clients during LBL Regressions regardless of their religion, philosophical orientation, or nationality. Life Between Lives Regression requires a very deep trance, and in most cases involves having undertaken a Past Life Regression beforehand, in a separate appointment. It also requires readiness to connect with one’s eternal immortal Soul self, which generally happens from the third decade of life and onwards. There should be no current deep emotional turmoil in one’s life (eg. recent bereavement or divorce), and clients should have undertaken previous personal work on any traumas from this lifetime (eg. abuse, crime, and so forth). Life Between Lives sessions take approximately 5 hours to reach the required depth of trance, then journey via a regression to the womb to a past life and on into spirit world, explore the areas of most relevance, assimilate the learning, and finally re-enter your present timeline. Audio recordings are made of the sessions to help you refer back to the information that was gathered. A successful Past Life Therapy Session is a prerequisite for to have a LBL Session. Prices include session recording in digital format. Package price is only avialbel if the LBL is scheduled within three months of the Past life Regression. 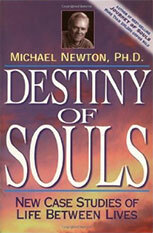 The Newton Institute was founded by Dr Michael Newton, author of Journey of Souls and Destiny of Souls, to provide a network of fully qualified and experienced hypnosis professionals to facilitate Life Between Lives hypnotherapy sessions for all those interested in seeking answers to their spiritual questions. The 90 minute documentary based on the book “Flipside: A Tourist’s Guide on How to Navigate the Afterlife” by Richard Martini.